Jane is a genuine psychic and a true entertainer. Having worked all over the globe Jane has a wealth of experience working with people from all walks of life including VIP’s, very high profile clients and the media. Mystery, intrigue & fun are perfect ingredients to make any occasion more exciting, memorable and interesting. The accuracy & predictions of Jane will not fail to fascinate you, your clients and customers. All forms of entertainment can be carried out using the minimal amount of space in a designated area or by mix and mingle. Jane was born in Singapore and raised by her grandmother, who was a therapist & psychic. At the age of four Jane discovered that she also had this gift and spent the first 13 years of her life working and travelling through China, Thailand and Malaysia, assimilating to Eastern culture and philosophies. She then moved with her grandmother to India, where under the guidance of an Indian master, she cultivated her knowledge of spirituality, Ayurveda, complimentary therapies and clairvoyance. At the age of 16, on the death of her grandmother, Jane moved to England, which has remained her primary base ever since. Jane returned to India for a time, where she worked with Mother Teresa assisting the sick. She also spent time treating children and care workers in Romania, as well as teaching massage and Aromatherapy to Romanian students. Jane has worked as a clairvoyant in many countries and continues to offer spiritual guidance to her clients abroad. Just like a fingerprint, handwriting is unique to an individual, studying the style of handwriting; Jane can reveal personality, character, desires, ambition as well as interpreting strengths and weaknesses from the form of the script. As a form of entertainment graphology is both fun and intriguing and can be performed in a static location or by mix and mingle. The ‘taking of tea’ has been part of Eastern tradition for thousands of years. However, it was only introduced to Europe in the seventeenth century. The reading of tea leaves requires a small ritual to be performed. Firstly, the tea should be brewed in a pot and gently poured unstrained, into a cup that must have a wide bowl with a white interior, devoid of any pattern. 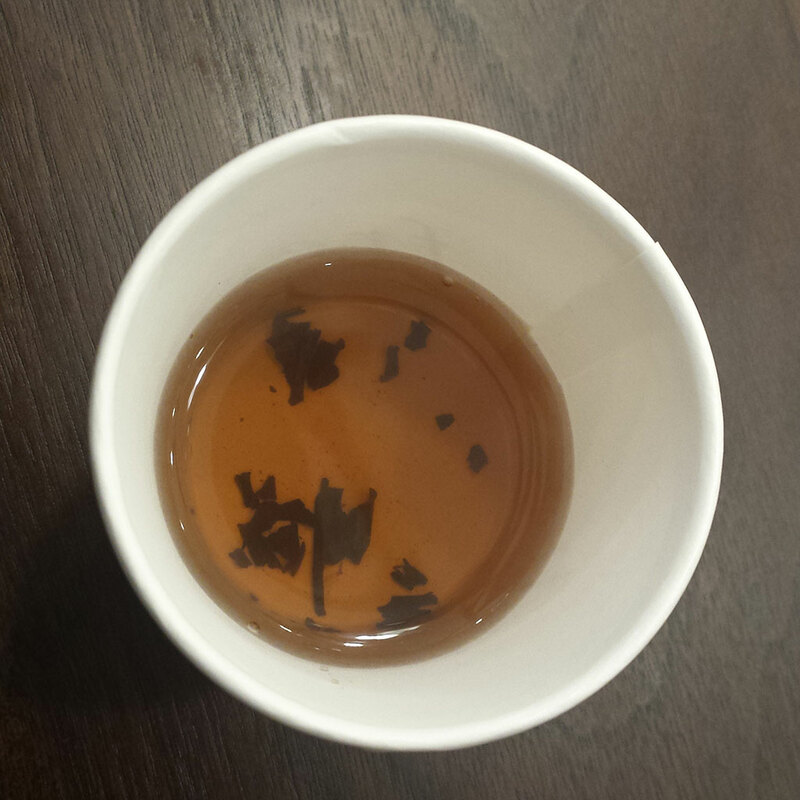 The client consumes the tea leaving a residue equivalent to about a teaspoon. The cup is then moved in an anti-clockwise direction three times, (at this time the client is asked to focus on a subject that needs to be addressed) then inverted onto the saucer allowing the residual liquid to drain away. The reader will then interpret the patterns formed by the tea-leaves within the cup. Arabic coffee reading is similar to tea leaf reading; the client is asked to consume strong fresh coffee leaving approx. a teaspoon of liquid in the cup. The cup is then inverted onto a saucer to allowing the residual liquid to drain away. The reader will then interpret the patterns formed on the inside of the cup. Franz Joseph Gall founded the science of phrenology, born in 1758, he studied medicine and became a physician, practising and lecturing on his theories in Vienna. Gall studied the varying sizes and shapes of the skull, looking for a correlation between undulations of the skull, mental ability and personality. The head was divided into zones, each of which related to areas of the brain responsible for certain faculties. Psychic Phrenology involves the reader focusing on areas of the skull and intuitively identifying the personality, well being and abilities of individuals. Face reading is similar to phrenology, involving the study of facial bone structure and features. After a visual analysis of the face the reader will then be able to determine the character, well being and identify the abilities and strengths of an individual. Runes are traditionally fashioned from wood, painted onto clay tablets or suitably shaped stones. Natural materials are used, as they are believed to contain sacred energy. Rune means secret writing and the letters are symbols of magic power. Runecraft originated in Scandinavia several thousand years ago. The runes were dedicated to the god Odin, representing communication, healing, travel and divination. The casting and reading of runes indicate ones fears and dreams. They highlight the positive and negative influences in your life allowing you to make informed choices for the future. As with most forms of divination crystal ball gazing has its roots far back in history. Crystal balls have been found in caves and ancient graves. Crystal Gazing is also known as scrying (revealing). Bowls of water, mirrors, the blade of a polished sword and many other reflective surfaces have been used by clairvoyants to facilitate readings for the future. Nostradamus, the sixteenth century astrologer made his famous and well documented predictions for the future by scrying. The hand has been a source of fascination ever since time began. Archaeologists have found hands painted in prehistoric caves and hands throughout the globe made of stone, wood & ivory, carved by ancient civilisations. The practise of hand reading has been discovered in medic scripts, and early Semitic writings. Aristotle (666869087-322 BC) discovered a treatise on palmistry on an alter to the god Hermes. The Greek physicians Hippocrates and Galen (130-200 AD) were conversant in the use of palmistry as a clinical aid. Julius Caesar (102-44 BC) judged his men by palmistry and Dr Carl Carus, physician to the King of Saxony in the 19th century, matched palms to personality. The lines of the hands are unique to the individual and are a map of our past, present and future. The experienced palmist can reveal a person’s character, potential and the opportunities available to them within their life path. Deep in the mists of time, cards were used in the mysterious East; Tarot symbolism was evident in ancient Egypt and Rome. The first known tarot cards in Europe appeared in the 14th century. The cards contain symbols that allow powerful insights into ones spiritual journey. The psychic power contained in the ether that spans space and time exerts an influence on the nervous system of the reader who shuffles the cards and the client who selects them. The cards are then spread and the reader translates the significance of the chosen cards. The human body emits hydrocarbons, electrostatic energy, chemicals and vapour – all of which make up an Aura around the body. Every Aura is unique and constantly changes with the condition of the mind, body and spirit of the individual. Some are able to feel the Aura’s energy, however only those highly tuned have the ability to see as well as feel them. Auric analysis allows a fascinating insight into the, past, present and future. A reading will add entertainment and intrigue to any occasion. What does your handbag say about you? Can your character be revealed by your choice of bag? The shape of your lips are a gateway to personality, they can reveal whether a person is passionate, independent, fun, cautious, outgoing, insular and much much more… Jane has appeared live on television, reading lips on air for Melinda Messenger’s program ‘Loose Lips’. Dreams play a large part of our lives from when we are small, right through our life journey. Some people dream in black and white, some in colour; some remember their dreams every morning whilst others only remember parts. The dream analysis will explain to you what your dreams mean and give you an interpretation of it. Children often can recount their dreams vividly while adults only piece it together. Dreams have always played a great part of biblical history, and the ancient Egyptians used to draw dreams on the walls of all the temples. Native American Indians use dreams as part of the teaching to children, and the Victorians used to make plays and stories around premonitions and dreams. There is a big difference and the interpreter will explain that to you. Everyone dreams and sleep consists of different cycles with different brain wave patterns. All dreams are different and sometimes are just fragments of the days events. When interpretating a dream, Jane will make the individual understand with fun, warmth and humour the story that lies behind the pictures. She can also weave a story for children around it and make it interesting or fun at a party event, exhibition or promotion. Gemstones and crystals are formed slowly by mother Earth. Their beauty, variety of colour and magical allure has fascinated humans since the dawn of time. Wizards, Shaman, Sooth Sayers and Healers used crystals and gemstones to channel magical powers and healing energies. The excavation of ruins has revealed that ancient civilisations made amulets and effigies of their gods from specially chosen crystals. It has been proved that crystals possess energy; quartz for example is used in watches and is responsible for the accuracy of their time keeping. Each crystal or stone represents both a spiritual and emotional part of our growth enabling powerful insights that are interpreted by the reader. The art of Sand Reading is known only to a few, it was practised by Native American Indians. The reader would draw a circle in the sand and would ask the person seeking guidance to draw intuitively in the sand whilst focusing on their dreams and aspirations. The reader would then channel for spiritual guidance focusing on the formation left in the sand and pass on the wisdom of the ancient spirits to the individual. The only participation of the person seeking enlightenment is the sand drawing; otherwise they are completely silent. The skill of the reader is then realised as the divination is carried out without any verbal ‘clues’ that might have otherwise revealed what answers the person was seeking. Mahjong, a game played with 144 tiles originated in the Far East. Traditionally the tiles were blocks of ivory with beautifully carved symbols. The tiles can be used as a means of divination. Each have a meaning and the reader interprets the symbols selected by the client. Dice throwing has been a means of fortune telling for thousands of years. In ancient times bones were used and over time dice have been made of amber, crystal, ivory, pottery and selected woods. Most of us have experienced the warm, soothing trance-like state that is achieved by staring into the flames of an open fire; perhaps some primeval part of our psyche is awakened and transports us back to a time when prehistoric humans gathered around fire for warmth and protection. Fire reading is another form of scrying. Staring deep into the flames puts the clairvoyant into a meditative state enabling projections into the past present and future. Twig casting was popular in mediaeval times, seers could be found reading rowan sticks in markets and at colourful pageants held in towns and villages throughout the land. The reader interpreted the pattern formed by the cast twigs and was able to warn farmers of weather conditions that may spoil crops. It was also used to give an insight into ones future prospects and love life. Consulting the wisdom of I Ching involves a complicated ritual involving yarrow stalks that form hexagrams. Chinese coins are commonly used and are thrown six times, whilst concentrating on the wisdom required. Psychic reading is taken from the fall of the coins and the six lines of the hexagram. There are 64 hexagram patterns, each with a specific meaning that will be interpreted by the reader. Jane is also an experiences iridologist. Jane was amazing and that the guests had some really interesting things told to them! Just wanted to thank you for supplying the roulette wheel and clairvoyant – both were fantastic and just got on with the job brilliantly. I didn’t have much time to speak to Taryn but she was great, and Jane was lovely. 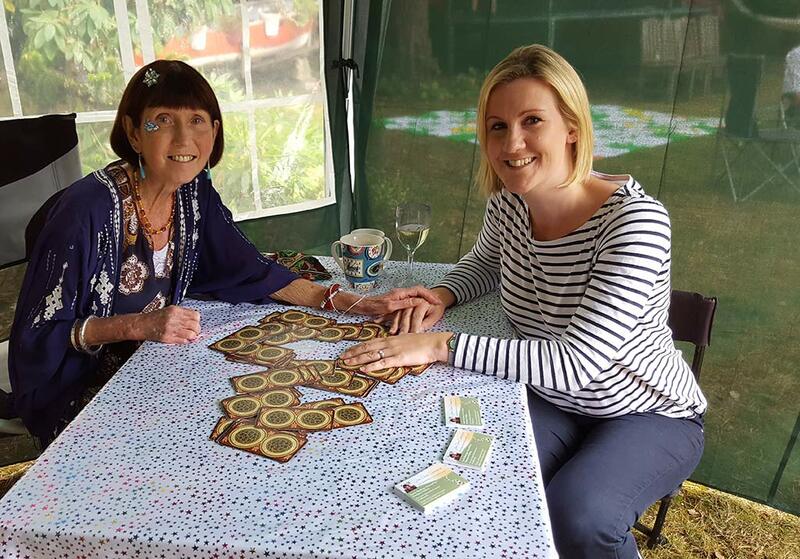 We had a very successful GIRO Conference in Blackpool last week thanks to Jane’s ability to attract people to our stand … Jane was a true professional and by offering palm reading, tarot cards, crystal ball, runes and graphology she appealed to a wide range of men and women. She has a lovely personality and was really easy to work with. I would have no hesitation in recommending her services and would engage her again should a suitable opportunity arise. Thank you so much for Jane, the attendees there thought she was wonderful, very inspiring and I understand she was so popular she had people queuing up for her! She really does liven up her surroundings, a valuable addition to any exhibition. I just spoke with the client and she was very happy with how everything went. She said that Jane was very popular and was perfect for the event. Thanks very much for helping us out with this enquiry and please pass on our thanks to Jane. Event finished today. Went very well, we won best stand award! 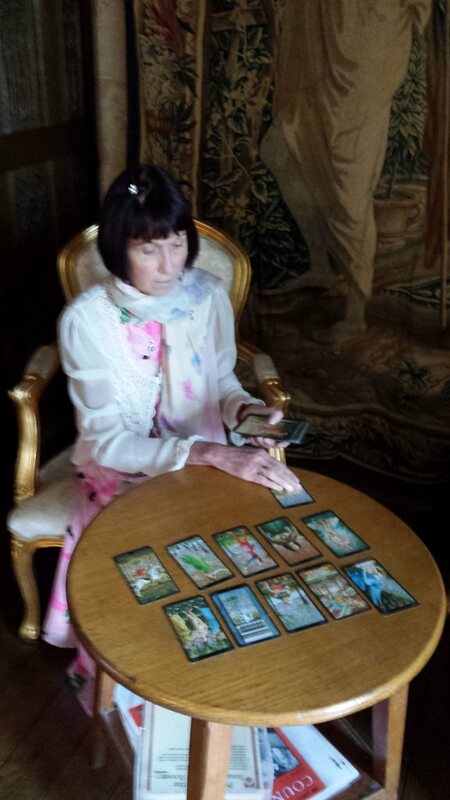 The tarot card readers were excellent, we had amazing reviews of them and such compliments! They really made the event for us. Yes, the evening was really good – thank you! In addition, a thank you for your help with this – the entertainment provided by Contraband was excellent!! Jane was lovely – I think the accuracy of her readings really impressed some of our clients – one in particular was a bit spooked which was quite funny!! We would definitely book her again if the opportunity arose – there was a constant queue and she was really great with everyone!! If you could pass on my thanks to her!! Jane was excellent. I had Jane at the Beazley party through you 2 years ago and she is always lovely and goes down so well. We had to turn guests away at the end of the night She was a pleasure to deal with and flexible which helps particularly when we didn’t have a room away from the guests for them. All in all very good thank you. I thought Jane was fantastic on the night – very warm and friendly and I personally enjoyed my visit to see her – she certainly seemed very accurate! Thank you so so much for all your help over the past months. The ball was a huge success and the performers and arcade games were very well received by all…The fortune tellers and the face painter were really charming and so popular that there always seemed to be a queue at their posts. All the guests I’ve spoken to seemed delighted with them and so I can’t thank you enough for all your work in making this happen. The party was fantastic thank you, a huge success and everyone had a great time. 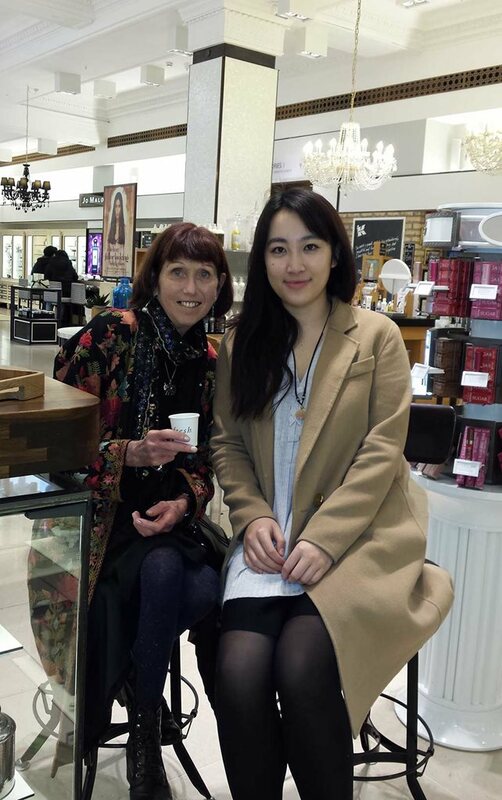 Jane was lovely, really friendly and very approachable. 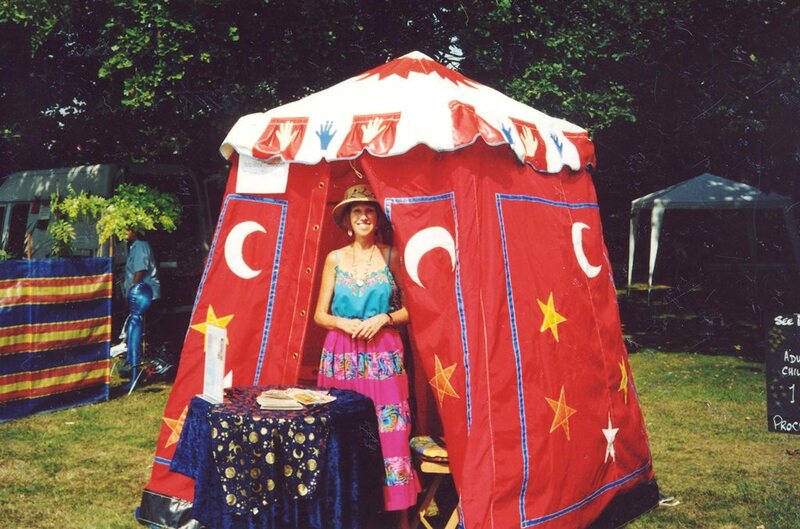 She most certainly fit the bill and everyone loved having their fortune told. Thank you again for your help with everything. Thank you, it went brilliantly – everyone was very happy with the result! All of the performers were superb – both Jeff and Jane had queues for the whole evening and were very much in demand!…..Jane was absolutely lovely and must have been doing something right as it took me 2 hours to get near her! …..Thank you so much for all your help, all of the entertainers were great and it was so easy working with you – I am sure we will be in contact again. Many thanks!